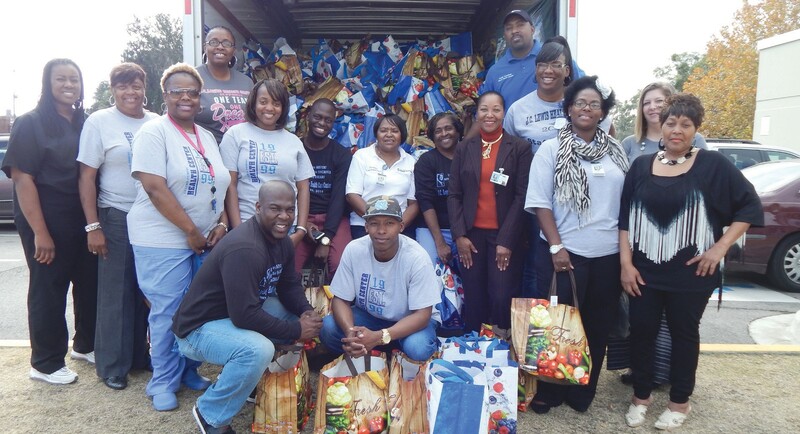 J.C. Lewis Primary Health Care Center partnered with Gadsden Elementary school to assist every student at Gadsden with a food bag for the Thanksgiving Holiday. The donation included 775 food bags for the Thanksgiving Holiday to each student at Gadsden Elementary School. J.C. Lewis also donated coats, uniforms, hats, gloves and other items. The donation took place last Monday, November 24, 2014 at the Gadsden Elementary School.